Mobile phones should not be brought to school at all. They are expensive items, which the school will not accept any responsibility for. In the case of any emergency the school will always contact parents and carers and the school can be contacted if an urgent message needs to be passed to a child. Under very exceptional circumstances they may be brought to the office and left there until home time. 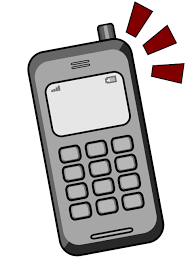 If a child is reported to be using a mobile phone at school or is seen with a mobile phone, it will be confiscated and returned at the end of the school day. Should this happen again, the child’s parents or carers will be contacted to come and collect the phone from the school office. In both cases the phone will be locked away, but again, the school will not accept any responsibility for this, since the item should not have been brought to school in the first place.